The freight trains that pass by 10-year-old Jack Taylor's family farm have made his lonely life more bearable. Especially after the kindness shown him by a member of the train crew -- whom Jack calls The Cabooseman. Determined to thank the man, Jack decides to grow him a garden. That's when Jack's troubles begin. About Karen Kulinski (Author) : Karen Kulinski is a published author of children's books. A published credit of Karen Kulinski is The Cabooseman's Garden. 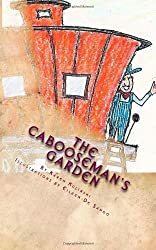 When Jack decides to plant a garden next to the railroad tracks to thank the cabooseman for the packages of chalk and coal that he throws to him every Tuesday, he finds it a little more challenging than he'd anticipated. Written with great action and dialogue, this book is for anyone who loves trains.